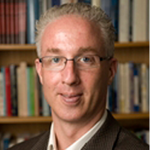 Marc Busch is the Karl F. Landegger Professor of International Business Diplomacy at the Edmund A. Walsh School of Foreign Service, Georgetown University, and an Adjunct Scholar at the American Enterprise Institute. He is an expert on international trade policy and law, the author of the book Trade Warriors and articles in academic journals in political science, international affairs and international law. Professor Busch has addressed a variety of institutions, including the Advisory Centre on WTO Law, the World Bank and the United Nations. He has testified before the US Congress on Airbus-Boeing litigation and the Canadian Senate on softwood lumber litigation. He previously taught at Queen’s University and Harvard University and won several teaching awards, including the Frank Knox Teaching Excellence Award at Queen’s University, MBA Society Teaching Excellence Awards at Queen’s School of Business and the Thomas Hoopes Teaching Prize at Harvard University. Organizations he has consulted include Booz Allen Hamilton, Bell Canada, McKinsey & Co., Monitor, the Swedish International Development Cooperation Agency, Health Canada, the United Nations and International Trade Canada.